The Central Valley is one the main food suppliers in the US, but it now faces a host of environmental concerns. In the wake of a six-year drought, the region’s mega-farms have begun to sink, and pumping groundwater has released toxic levels of arsenic into the water supply. A package of bills to limit groundwater pumping has already been passed, but the area may have to wait more than 20 years before it’s implemented. In the center of California lies one of the most important agricultural areas in the US – an 18,000-square-mile stretch of heartland known as the Central Valley. Each year, the region’s mega-farms produce about a quarter of the nation’s food supply, or around $US17 billion worth of crops. Without them, a significant swathe of the US could lose easy access to staple foods like fruits, vegetables, and nuts. That’s begun to look increasingly likely as the effects of drought poison the water supply and cause the land to sink. The problems date back to 2011, when California was hit by one of the worst droughts in its history. From then until 2014, the state was the driest it’s ever been on record. Though California Governor Jerry Brown declared an end to the emergency in April 2017, the effects of the drought are long-lasting. 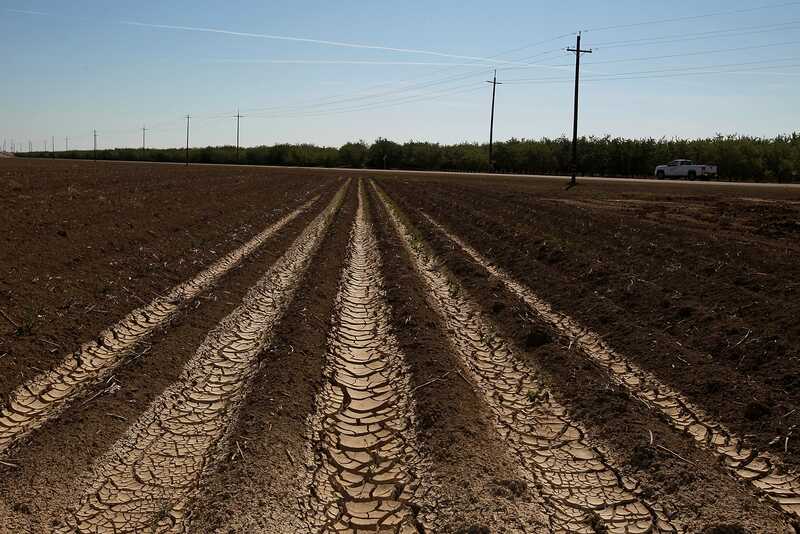 The land is now painfully starved for groundwater, prompting farmers to drill wells into the ground and pump the water through aquifers (bodies of porous rock that act as a natural filtration system). When farmers over-pump the water – which they often do, given the arid nature of the soil – it can cause the land to sink at a rate of two inches per month in some areas. Sinking poses a danger to nearby infrastructure, causing roads to crack or holes to form in the ground. It can also damage aqueducts, or underground pipes, making it even more difficult to move water between locations. 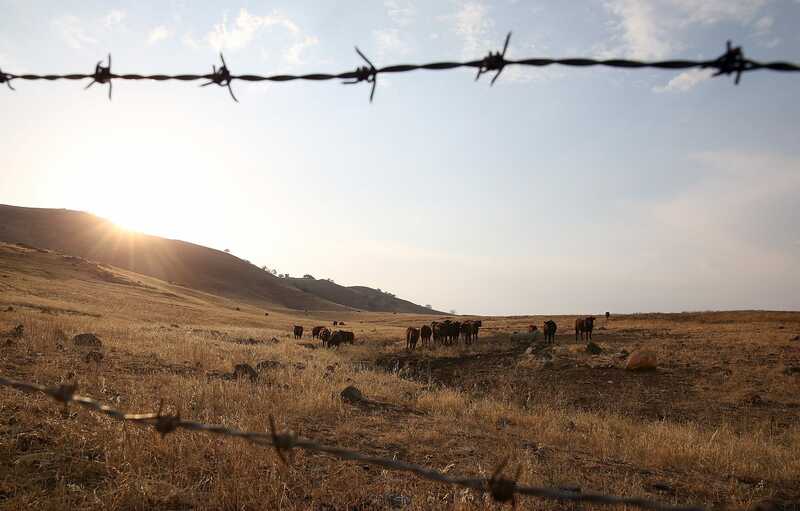 Justin Sullivan/Getty ImagesA dried and cracked field near Mendota, California. These damages alone are enough to jeopardize food production in the Central Valley. But the area is struggling with yet another environmental concern: poisoned water. A new study shows that over-pumping aquifers can release arsenic, a toxic chemical that increases the risk of cancer, heart disease, and diabetes when present in significant amounts. According to the study, around 10% of wells tested in the San Joaquin Valley – the Central Valley’s main agricultural hotspot – have shown dangerous levels of arsenic over the last ten years. In 2016, California set aside $US19 million to provide emergency drinking water to disadvantaged communities with contaminated water supplies. But even these funds aren’t enough to make up for the water lost due to toxins. With roughly 100,000 people in the Central Valley lacking access to clean water, homes have been forced to spend as much as 10% of their income to meet this basic need. The one glimmer of hope for residents is a package of state bills that aims to limit groundwater pumping and shut down wells. Local agencies have until at least 2020 to develop the regulations, and another 20 years after that to implement them. That’s plenty of time for the water crisis to escalate and the land to sink even lower.